The reunion is open to all CHS grads no matter what year you graduated. No reservation is necessary. Everyone just shows up. The picnic area is located southwest of St. Petersburg. Starting at I4 West, go to I275 South. Use Exit 17 onto Rt. 682 West, Pinellas Bayway (toll - 75 cents). Get off at Rt. 679 South (another toll - 50 cents). This route will take you into Fort De Soto Park, where there will be a sign directing you to the Clairton picnic shelter (probably Shelter #14) on a beautiful part of the beach. Bring your own lunch and beverage. There is no charge for the picnic. Attendees start to arrive about 9:00 or 10:00 a.m. Please note that a $5 per car parking fee has been imposed for Fort De Soto Park. If a person has a valid Disabled Parking Permit, they are not required to pay the parking fee...but they must display the permit when entering the park. 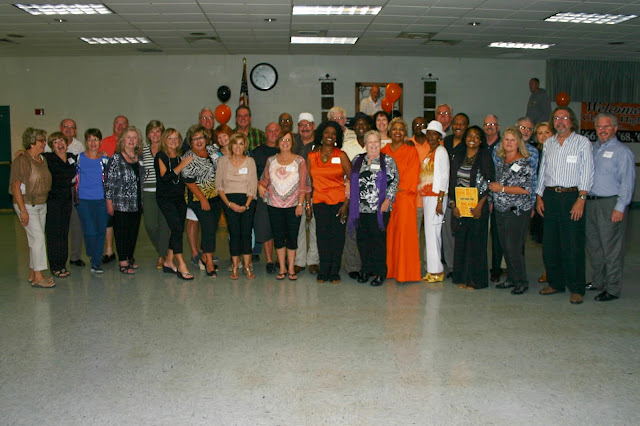 You can see pictures from previous years at the bottom of the website for the annual CHS Reunion Picnic at Clairton Park http://www.chsreunionpicnic.com/ . Email me if you have any questions. Please pass this information onto all CHS grads that you know. We would like to get the word out to everyone. 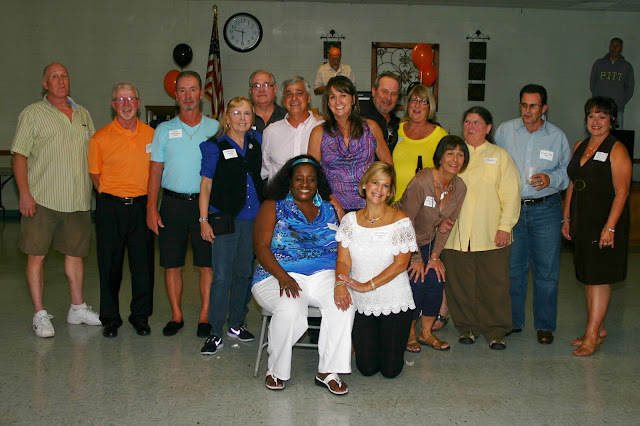 We are so excited about the upcoming multi-year reunion for the CHS classes of 1966 to 1970 on Friday, September 6th! We have people coming from all across the country…..Florida, West Virginia, Maryland, Michigan, South Carolina, North Carolina, Texas, Iowa, Illinois, California…and, of course, Pennsylvania. What a great group of people it will be! For those of you who have already made your reservations, thank you. The members of the committee are dedicated to putting together an event where CHS alumni can visit with each other, reminisce about the old days and catch up on each other’s lives today. You show your appreciation for what we do by attending the reunion. We look forward to seeing all of you. For those of you who have not made reservations yet, we want to let you know that we have extended the deadline date. When we started making plans for the reunion, we decided that the Floreffe Fire Hall where we had the last one was too small, so we contracted with Broughton Fire Hall which is twice the size. Because of that, we have room for double the number that we had six years ago. If you would still like to attend, please send your reservation in as soon as possible…..or contact me if you need a copy of the reservation form. Also, because we can accommodate so many people, we have decided to offer you the opportunity to bring CHS graduates from other classes as your guests. If you have a family member or good friend who would like to attend our reunion, please pass the information onto them and let them know we would love to have them join us. If there is someone in particular that you hope to see at the reunion, please contact them and verify they are coming. That way you can be sure they will be there. If you don’t know where a person is, email me their name and class year, and I will do my best to get information for you. Looking forward to seeing everyone in September!!!! 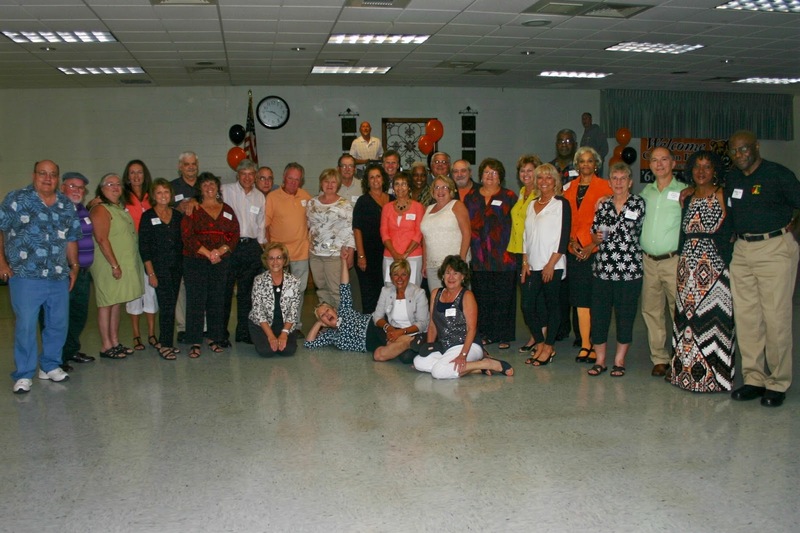 The reservations have started coming in for the 1966 to 1970 reunion on Friday, Sept. 6th and the committee members are excited to see all of you! Remember....we put in all this work because we want to see our classmates have time together....and your attendance at the reunion shows your appreciation! The Saturday picnic which includes 35 years will be at the Lodge in Clairton Park and the best way to decide what to wear is to look at the weather that day. This has been a crazy, hot, wet summer so it could be anything. For the picnic in the past, we've had very, very hot days and we've had cool days....we've had dry days and we've had wet days. Anything can happen at the picnic. The Friday night event which includes 5 years is being held in Broughton VFD and the hall is air conditioned...and dress is casual...so you can wear anything that you are comfortable in. I hope you are in contact with the classmates that you'd like to see at the reunion and are encouraging them to attend. If we all work together, we can make this a great event. The committee can only do so much and then we need your help. 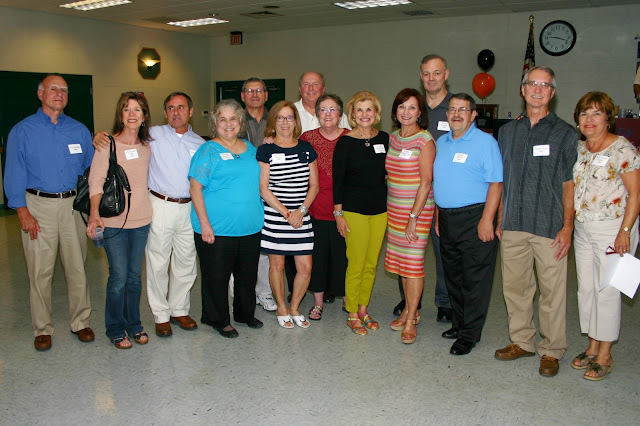 We are just 8 weeks away from our multi-year reunion for CHS classes 1966 to 1970. Can you believe how fast the time goes????? The committee has been busy making plans for things like the caterer and DJ and we are still working to locate missing classmates. If you know of anyone from those classes who didn’t receive an invitation, please contact me. The deadline for reservations is August 1st. We would appreciate everyone getting their reservations in early so we have an idea of how many people we are planning for. The sooner we know how many are coming, the easier our job will be. We look forward to seeing you in September. 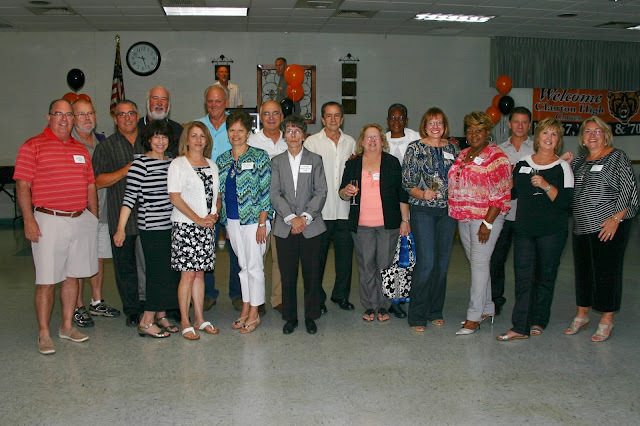 Reunions are a passion for those of us who work on the committee and you show us your appreciation by attending. Several of us are working on both the multi-year reunion and the picnic reunion because we believe so strongly that these get-togethers are important. 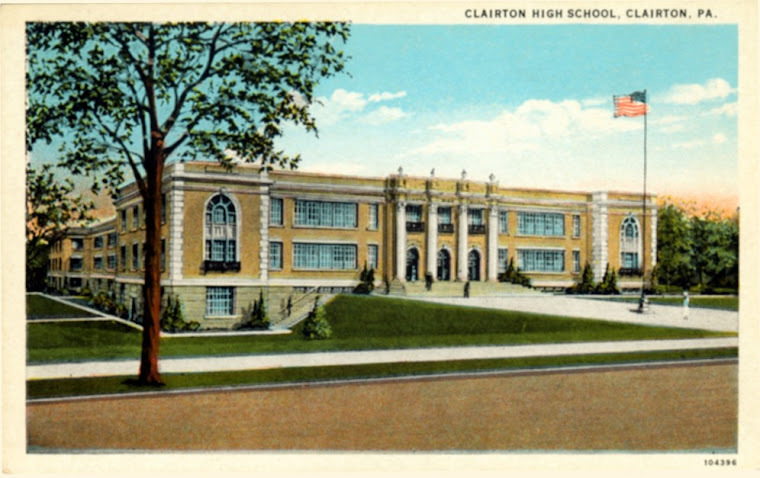 It’s Clairton High School! It’s Clairton High School! It’s Clairton High School now we cheer! The committee met tonight and addressed envelopes for the invitations, so they should be in the mail to all of you tomorrow. Please note that there are two registration forms.....one for the Friday night reunion for classes 1966 to 1970 and one for the Saturday picnic which includes years 1935 to 1972. You have the option to attend either one or both. If you do not receive yours by June 18th, please let me know. Also, we are working with address lists from six years ago and there have been many changes. In fact, a couple classes have had to start building their list from scratch. Please help us by letting me know of anyone who does not receive information. Believe me, it will not be done intentially. We have been trying to help each other locate missing classmates but it is sometimes difficult. We will appreciate any help you can give us. Time: 6:00 PM to ???? ?